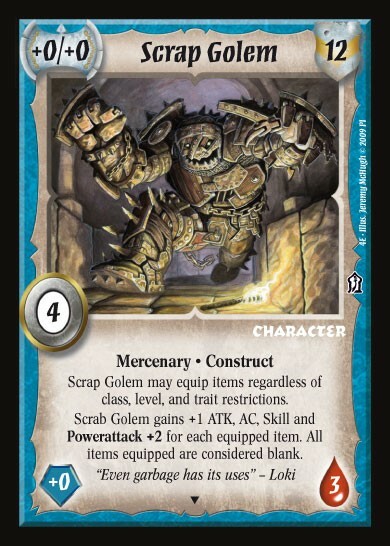 Scrap Golem is a free Promo Card for use with the Warlord: Saga of the Storm Customizable Card Game. For each $50 shopping cart value a free copy can be added and will be sent out with the product. This product is not purchasable as a stand-alone product!